Ted's lovely storage tin has many uses. 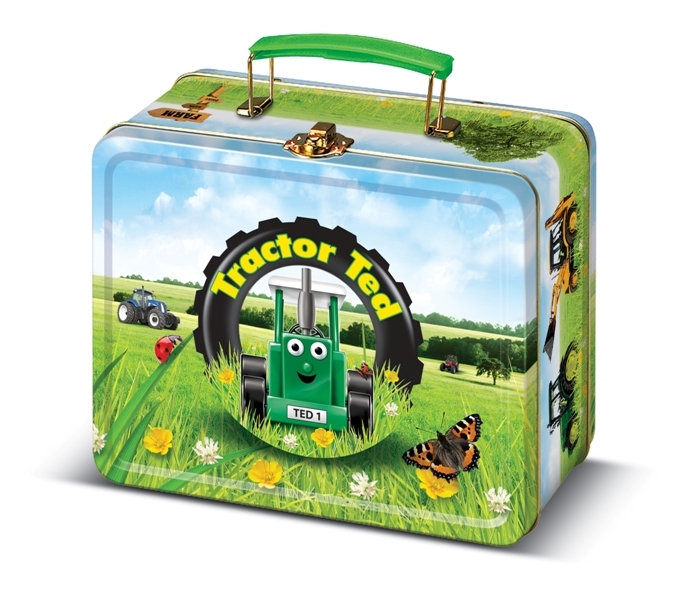 It can be used for carrying precious dvds, which fit perfectly inside, taken to school with a delicious lunch inside or used on car journeys to store their favourite things. However they choose to use it we are sure they will love it. The Mighty Maize Machine is captivating. The amazing forage harvester is hard at work, singalong as he collects the grass silage and harvests the maize. 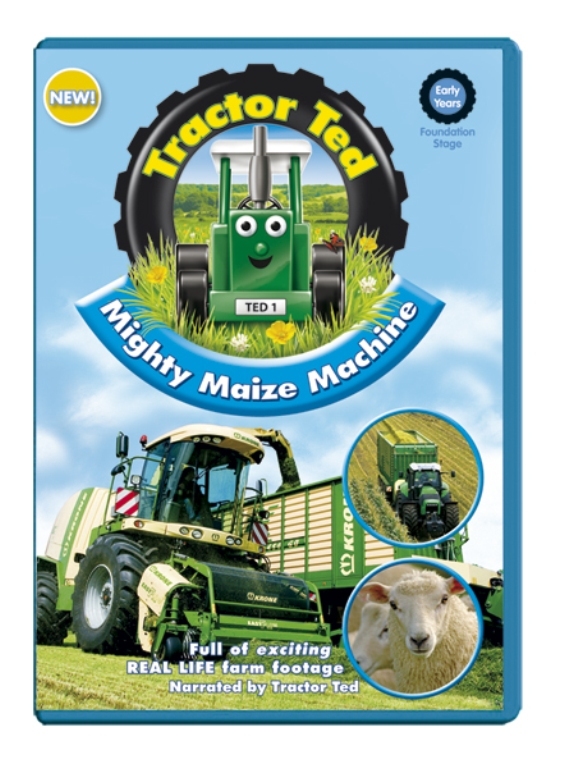 So many machines packed into this brilliant dvd including feed wagons, rakes, mowers, JCB and more. Ted visits two dairies one with cows and one with sheep! Poor Les forgets something rather important, just as well the children are there! The latest in the Tractor Ted series gives a fascinating insight into the day in the life of a horse and in this case a racehorse. Watch how fast they are on the gallops and how many machines are needed in caring for them. 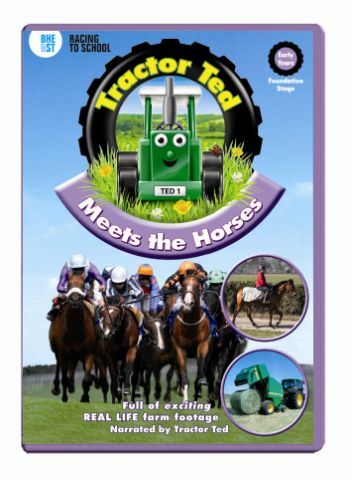 A wonderful dvd full of fantastic footage including horses swimming and laughter as poor Les loses his tractor keys. A big hit with machine and animal lovers. Tractor Ted visits an enormous arable farm where he sees many of the biggest farm machines at work during harvest time. There isn't enough room in the barn to store all the grain so a new one is being built . All sorts of construction vehicles like excavators, diggers, mixers and a huge articulated hauler are used. 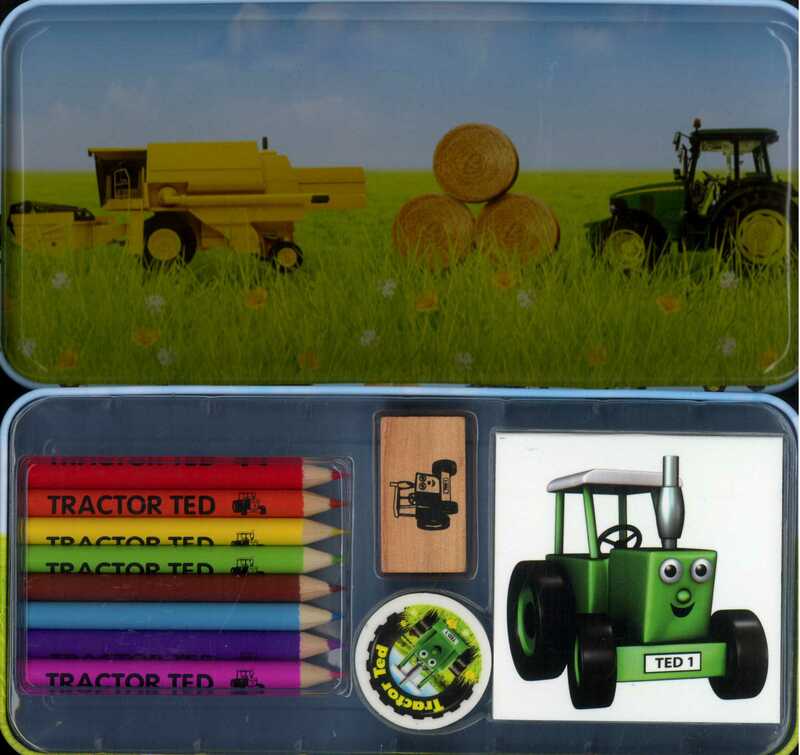 Includes a brand new song 'Lets go Cultivating' and all the usual accurate information about real life on the farm from cheerful Tractor Ted. 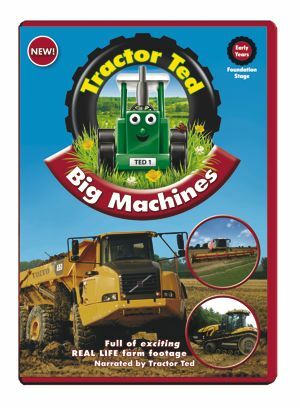 A must for children who love big machines, tractors and diggers! Your new robot friends include a drink-dispensing'bot, a bird-rescue unit, a marshmellow-slingshot robot, and a two-headed repair drone. 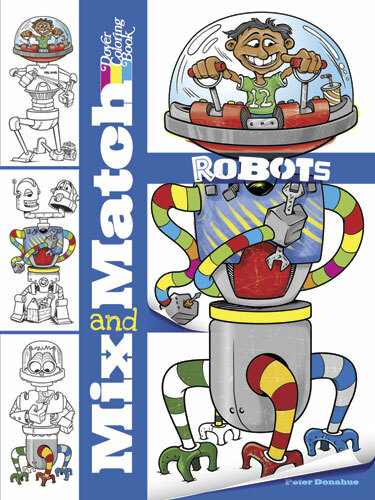 With these perforated picture pages, you can mix and match their components - the robot equivalents of heads, bodies, and legs - with those of other wacky automatons. Create all kinds of comical combinations and then colour them! What do you get when you cross an anteater with an elephant? Find out, and create animal riddles of your very own! Colour and remove these pages of perforated cartoon-style heads, bodies, and legs. 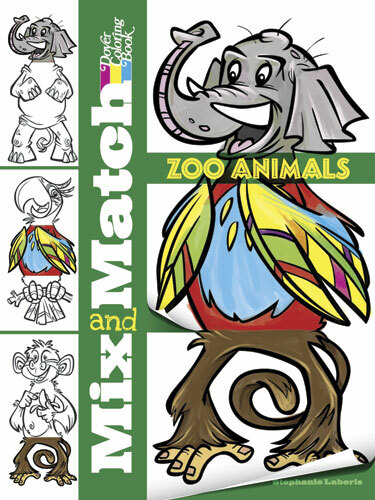 Then switch and swap the parts to create wacky combinations of a parrot, monkey, zebra, lion, giraffe, anteater, alligator, and elephant. 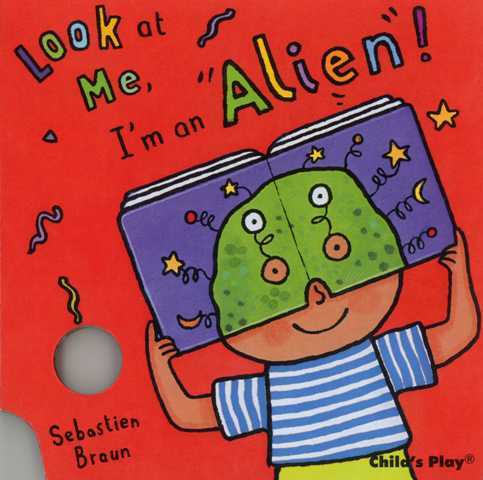 Look At Me, I'm An Alien! Look at me, I'm an alien! But what sort of alien am I? Chatty or quiet? Cheeky or shy? Bouncy or still? 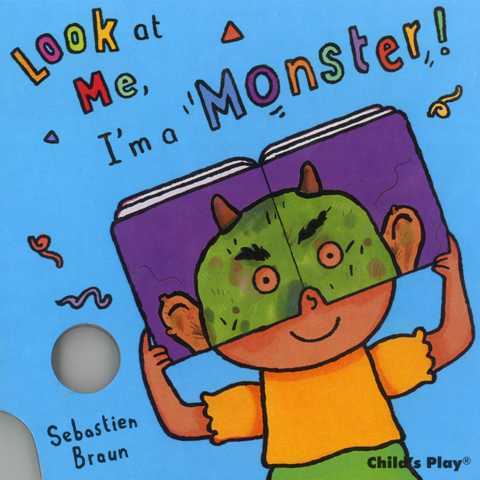 This unique book format that's also a mask, will encourage and develop role play, which stimulates your child's imagination and aids social growth and development. 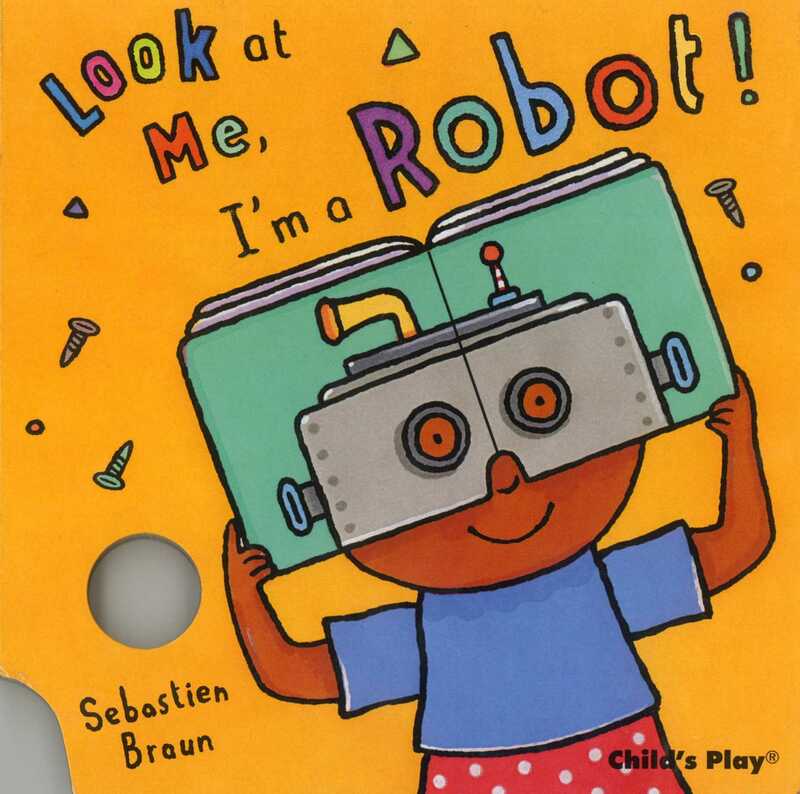 Look at me, I'm a robot! But what sort of robot am I? Quiet or noisy? Happy or sad? Fast or slow? Look at me, I'm a monster! But what sort of monster am I? Grumpy or cheerful? Cuddly or scary? Noisy or quiet?